Aurel Scheibler has announced “The Great Society”, the third solo exhibition of Alice Neel at the gallery. The selection for this exhibition focuses on the artist’s social and political commitment and thus complements the retrospective exhibition which is currently on view at the Deichtorhallen in Hamburg, after several stops in Europe. The exhibition depicts street scenes, observations of the lower-class milieu, as well as portraits of politically active personalities. The paintings encompass the period from 1933 to 1965, when Alice Neel painted The Great Society , from which our exhibition takes its title. 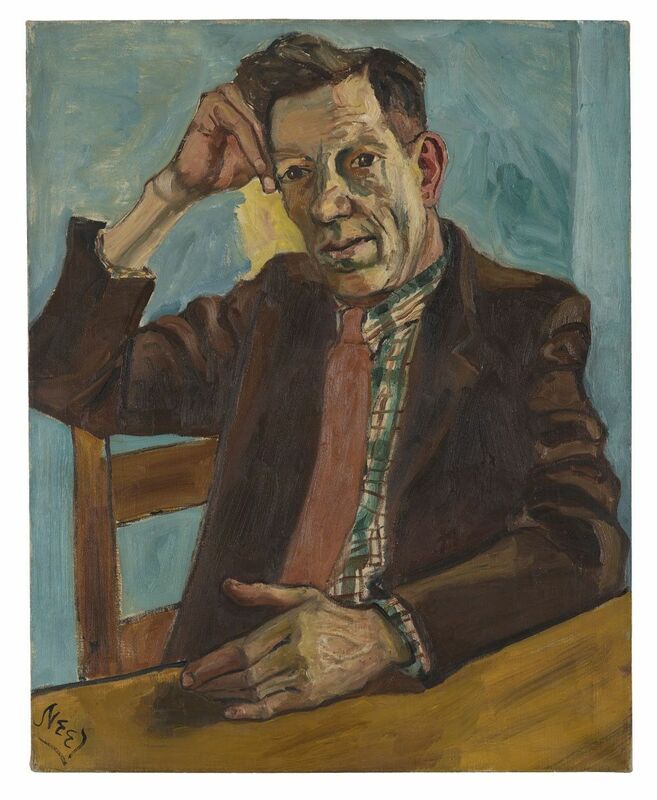 The dismal facades, the people rummaging in trash cans, the exhausted dock wor kers on their way home, the gatherings of political activists or the views of tired faces all present different facets of a nation which Alice Neel documented over the course of decades. Mike Gold, whose portrait can also be seen in the exhibition and whose demands for an objective realism Neel succeeded in fulfilling in her own particular way. whom Neel had already painted two decades previously at the head of a torchlight procession organised by the Communists: that 1936 painting, Nazis Murder Jews, is surely Neel’s most overtly political work with its explicit pointers to the spread of fascism in Europa. Neel’s oeuvre is characterised by such precise observations, devoid of romantic glorification and bearing witness to an esteem for people, their surroundings and situations, which her brush creatively captures in plain, non-beautified images of American reality. As Neel herself said, art was a form of historiography and she felt privileged to have been able to capture so many decades in history. Although only few of her works transport an openly political message, all of them, including her portraits, reflect her time, its culture and its conflicts. And it is precisely these features and her stance as a politically committed artist that enable her work to seem as topical and as a timely a commentary on life even today. 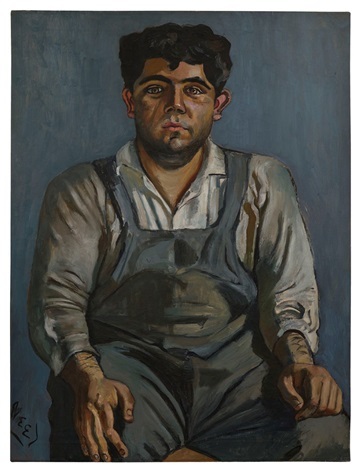 Alice Neel was born near Philadelphia in 1900. She studied at the Philadelphia School of Design for Women (now Moore College of Art), graduating in 1924. In the 1930s she lived first in Greenwich Village in New York, then in Spanish Harlem. From the mid-1930s she earned her living through works commissioned by the WPA (Works Progress Administration), which was founded during the period of the Great Depression as an employment-creation authority for the millions of unemployed. Alice Neel had an extremely modest life style up to the 1960s, when she finally garnered attention and had her initial successes. She moved to the Upper West Side in 1962, had her first larger exhibitions and finally her first retrospective at the Whitney Museum of American Art in 1974, the first ever solo exhibition of works by a woman in that museum. Alice Neel died in New York in 1984. Alice Neel. Painter of Modern Life, on show at the Hamburg Deichtorhallen from 13 October 2017 is the first institutional exhibition in Germany dedicated to Neel. It has already been shown in Helsinki, The Hague and Arles. Her works are to be found in all important American museums, the Tate Modern in London and Moderna Museet in Stockholm. A bilingual catalogue with an essay by Petra Gördüren will be published to accompany the exhibition. Another portrait shows a simple worker called Grimaldi, much as August Sander might have portrayed him.